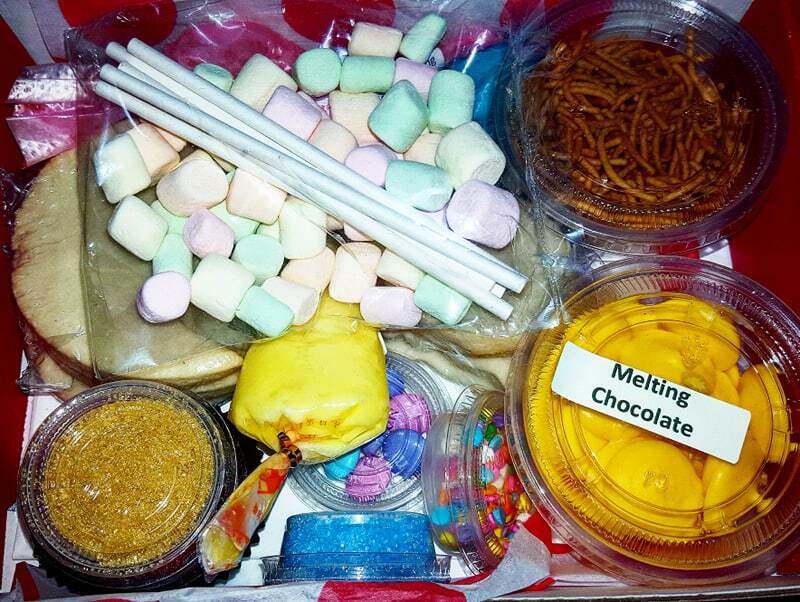 If one of your New Years Resolutions was to eat better, this is the perfect product for you. The Spiral Vegetable Slicer can help you add more vegetables into your diet in a fun way. 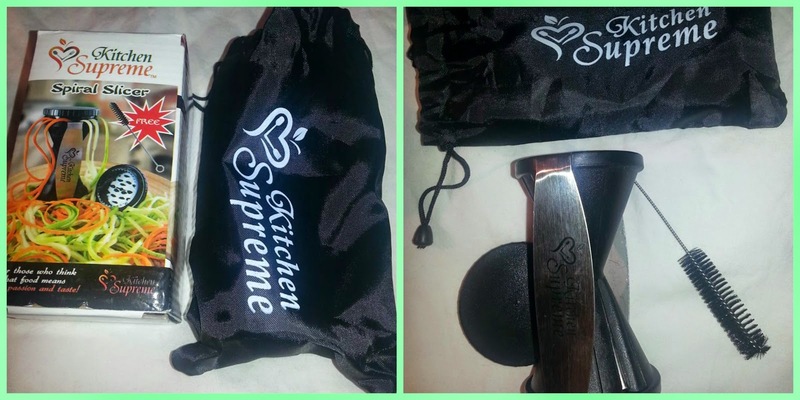 The slicer comes nicely packaged with everything you need to get started other then the vegetables. The instructions are pretty straight forward on how to use it-simple enough. we found it works easier on the softer vegetables, it did a wonderful job on making ribbons out of cucumbers, carrots, zucchini and soft potato's. 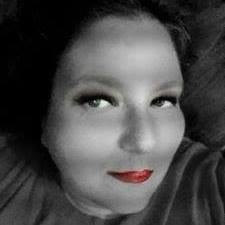 Clean up was very easy, it just rinses clean and you use the brush to get out anything that might be stuck. 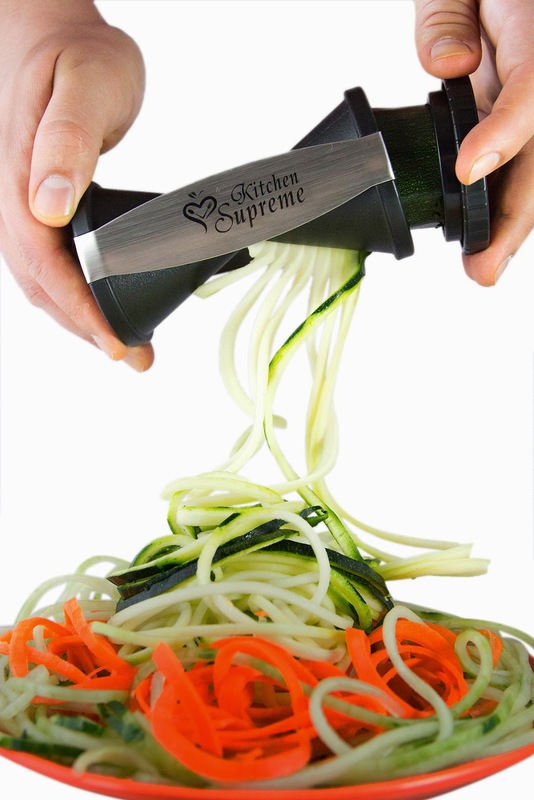 Spiral Vegetable Slicer is a great way to introduce more vegetables into your diet. Our kids even agreed that it made the vegetables taste better to them. 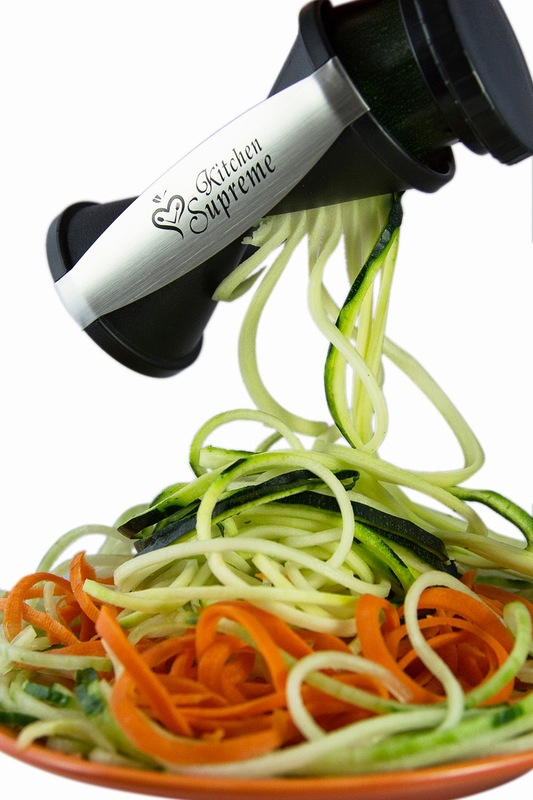 Discover How to Feel HEALTHY and FIT with the Kitchen Supreme Spiral Slicer ! The Complete Spiralizer Bundle allows you to get maximum results immediately so that HEALTHY MEALS will never look unattractive again! REPLACE REGULAR PASTA with vegetable noodles or spaghetti and get your family and friends to CRAVE FOR HEALTHY FOOD ! 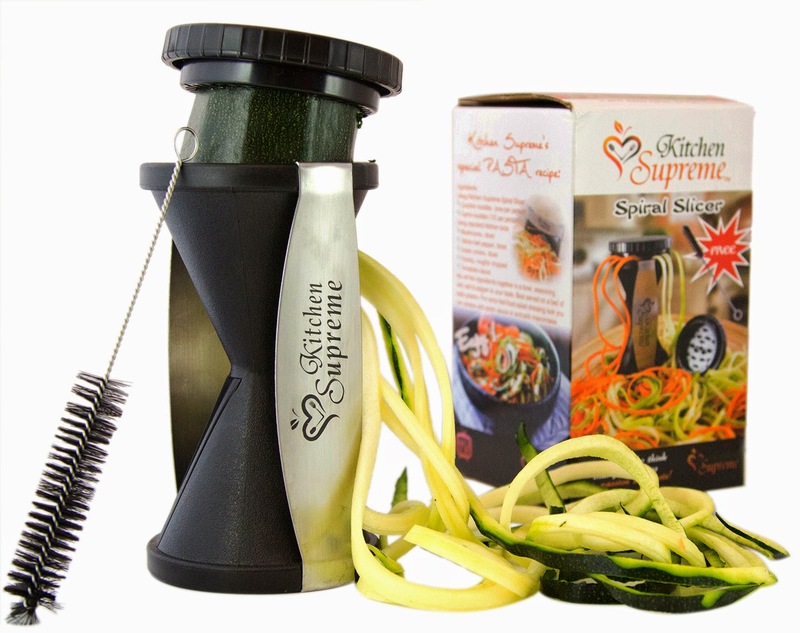 SAVE TIME with the Kitchen Supreme Spiral Vegetable Slicer and prepare mouth-watering meals in minutes ! Flexible Cleaning Brush + Storage/Protective Bag + Spiral Slicer Recipes Digital Cookbook + Rapid Results Digital Guidebook - 101 Power Tips for a Fitter, Healthier You !